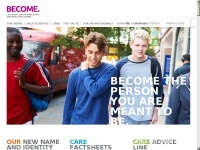 Homepage for Become - the charity for children in care and young care leavers. Get help and advice, find out how we are improving the care system, and support our vital work. Becomecharity.org.uk presents an article about a specific topic. 1 links pointing to Becomecharity.org.uk were found. Individual words like Trust and Cares are frequently used in text links from other websites. 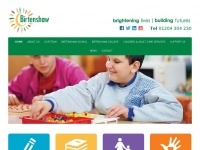 The most important links to the website are from Propel.org.uk and Bulfin.co.uk. The homepage of Becomecharity.org.uk and the subsite are most referenced by other websites. The table shows the most important links to Becomecharity.org.uk. The table is sorted in descending order by importance. The table shows websites of Becomecharity.org.uk, which are often linked by other websites and therefore they are classified as important content. 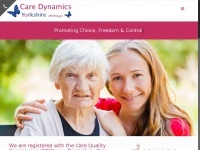 Asphaleia.co.uk - Aspha­leia - care, foste­ring, trai­ning and welfa­re ..
Birtenshaw.org.uk - Home - Bir­tenshaw | Brighte­ning li­ves | Buil­ding ..
Caredynamics-yorkshire.co.uk - Care Dyna­mics Yorkshi­re :: Domici­liary Care Ship­ley - ..
Barnardos.org.uk - Children’s charities | UK's lea­ding children’s cha­rity ..